You see that rotisserie chicken at the grocery store and it looks so good! But, what to do with it when you get home? Check out these delicious tips and recipes. Don’t you just love a rotisserie chicken? They’re flavorful and tender, ready to go, and — best yet! — so affordable. You can’t practically cook your own chicken for the same price. Rotisserie chicken is basically a perfectly roast chicken. Because the chicken cooks on a spit, it is turned while it roasts, resulting in perfectly browned skin. A rotisserie chicken is super handy, to be sure, but you may find yourself wondering from time to time, what to do with the blessed thing? For starters, do you even know how to carve a whole chicken? Do you tear it apart with your hands? What? Well, once you get the chicken cut into pieces, a whole world of delicious opportunities opens up for you. Obviously, enjoying a simple roast chicken is top on the list, but what else? What goes well with rotisserie chicken? How long is leftover rotisserie chicken good for? Like other prepared foods, rotisserie chicken is good for up to 4 days when properly refrigerated. How do you store leftover rotisserie chicken? Store the chicken meat in an airtight container in the fridge. If you like, you can store it in the freezer for longer storage. 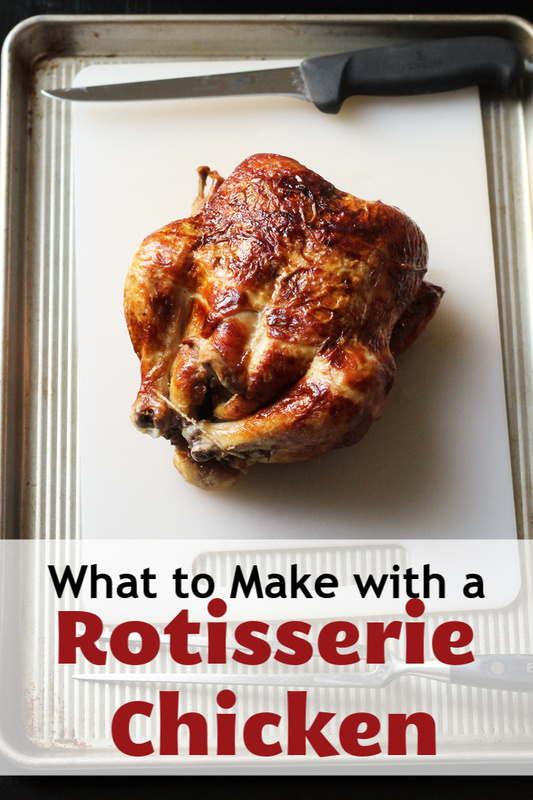 What can you make with a rotisserie chicken? Once you’ve enjoyed a rotisserie chicken as a main dish, you may want to use the leftover cooked chicken in other dishes. Or you may want to start out your meal prep this week with a couple of birds, to save yourself some time. Use a rotisserie chicken in freezer cooking! A store-bought rotisserie chicken is the perfect short cut for freezer cooking. With the chicken already cooked, you’re one step closer to getting great meals in the freezer, quickly and easily. Not sure what to make? 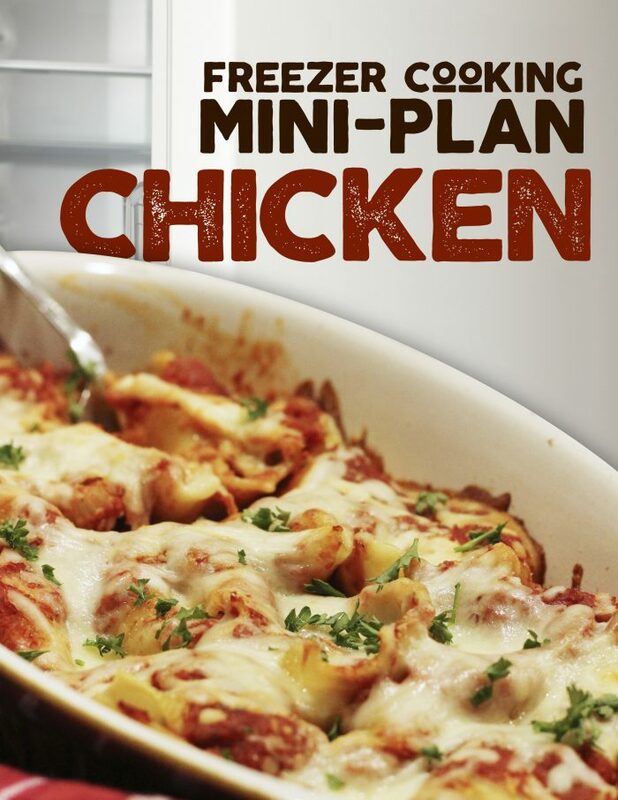 Grab your copy of this Freezer Cooking Mini Plan so that you can make 8 meals in about 90 minutes, probably less if you use a couple rotisserie chickens. 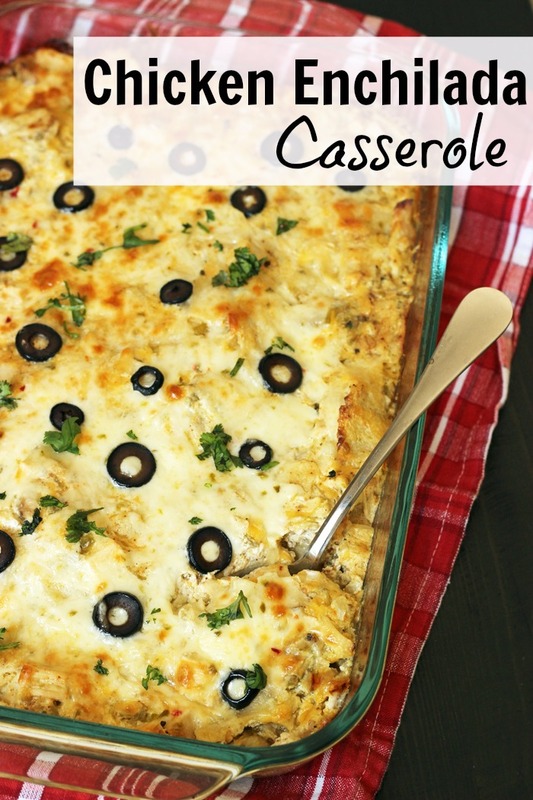 Mix up Creamy Chicken-Stuffed Shells and Chicken Enchilada Casserole in minutes! These delicious recipes all call for cooked chicken. Grab a rotisserie chicken for an easy shortcut to some amazing meals. 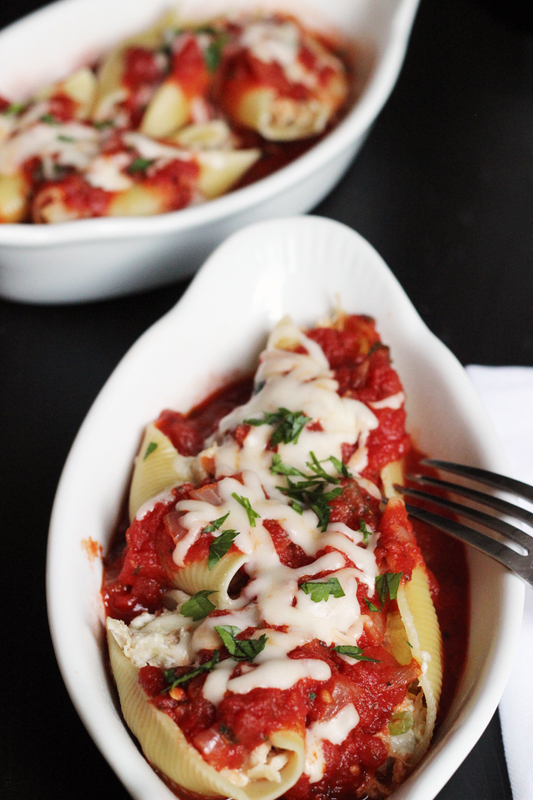 Cooked shells are stuffed with a creamy, cheesy, chicken filling and topped with your favorite marinara and a gooey top of melted mozzarella. 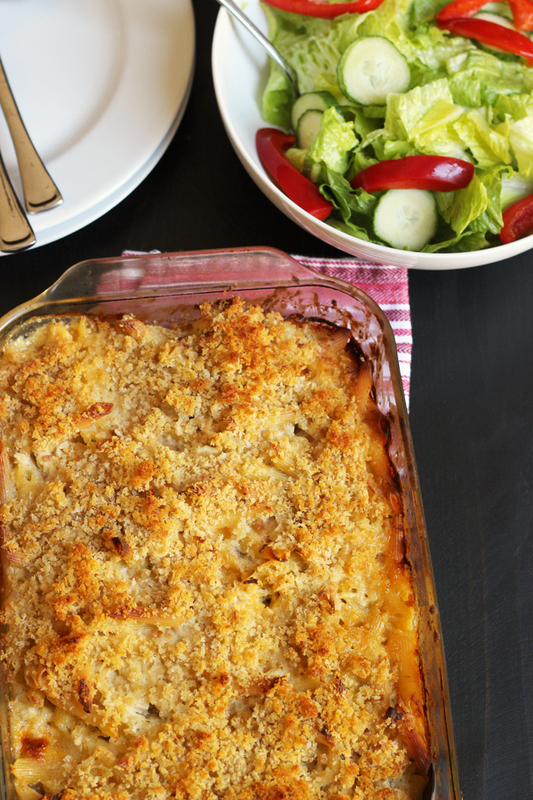 There's no need to cook the noodles before assembling this casserole which means that your prep work the night is super simple! That vintage curried divan has been updated with a homemade sauce. No canned soups here! 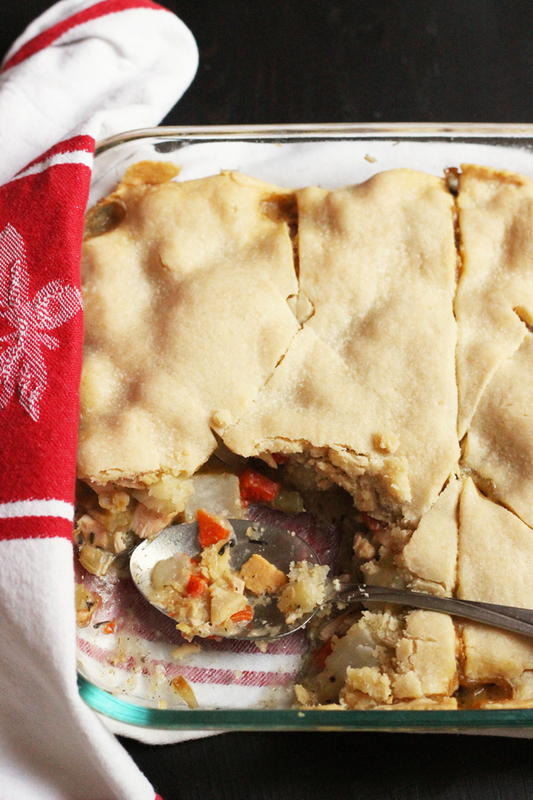 Pot pie is ultimate comfort food and it comes together quick and easy with a rotisserie chicken. 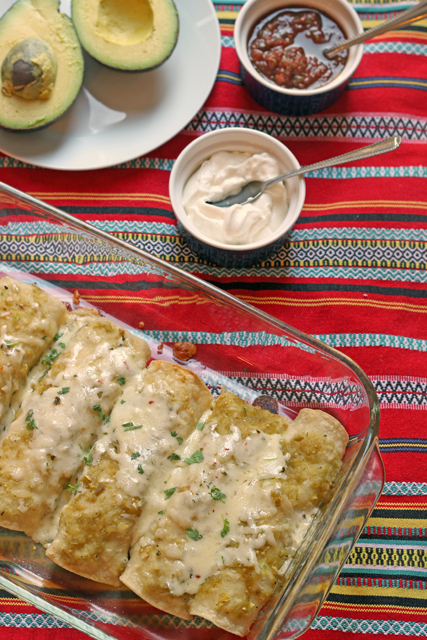 Roll up some love in these creamy chicken enchiladas. They prep super quickly and are very freezer friendly. 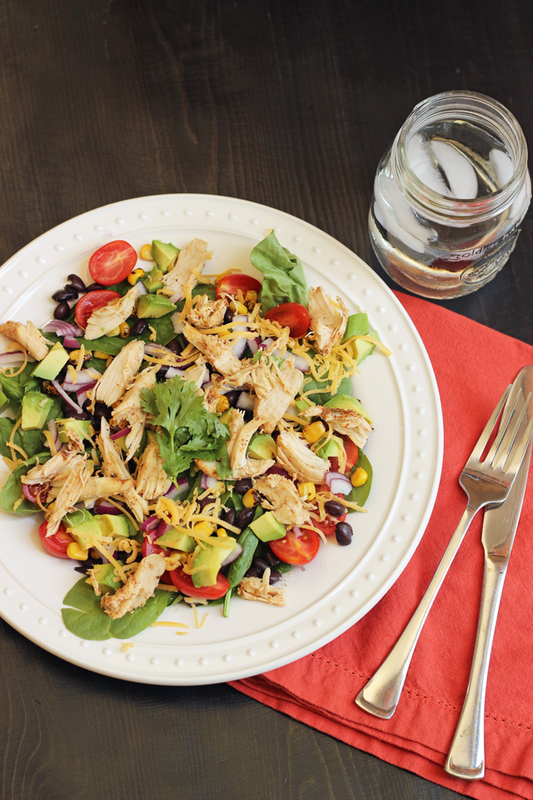 Have dinner ready in about 15 minutes with this simple, but hearty Santa Fe Chicken Salad. No need for fancy cafe salads; you can make your own with a few veggies, a can of mandarins, and a roast chicken. 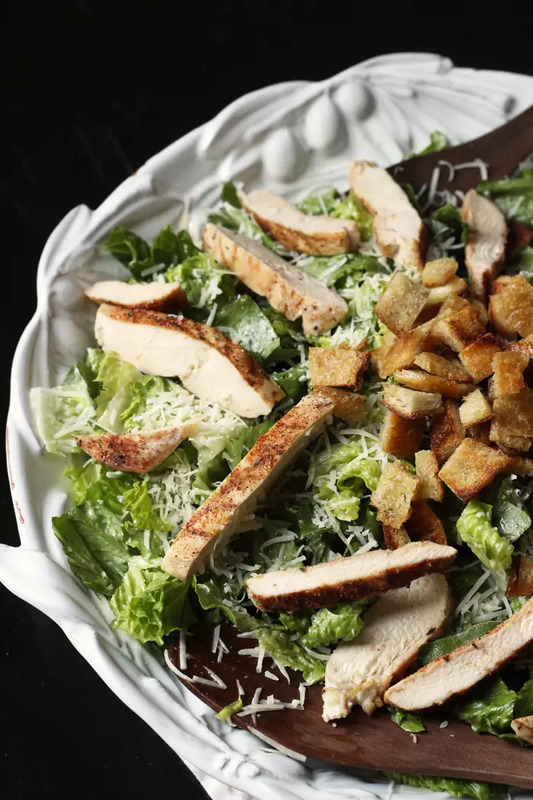 Enjoy a gourmet dinner salad for pennies when you make this quick and simple caesar dressing. Top it off with tender cooked chicken for extra protein. 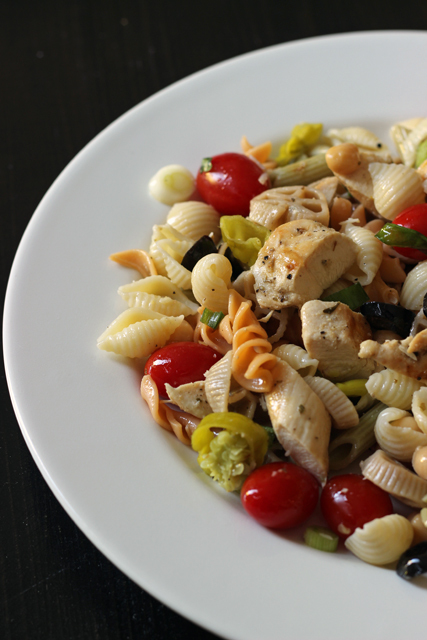 This pasta salad is packed with flavor and protein. It keeps well in the fridge making it a great meal prep dish. Roast chicken, tender veggies, and an olive relish take you on a little trip to the Mediterranean. 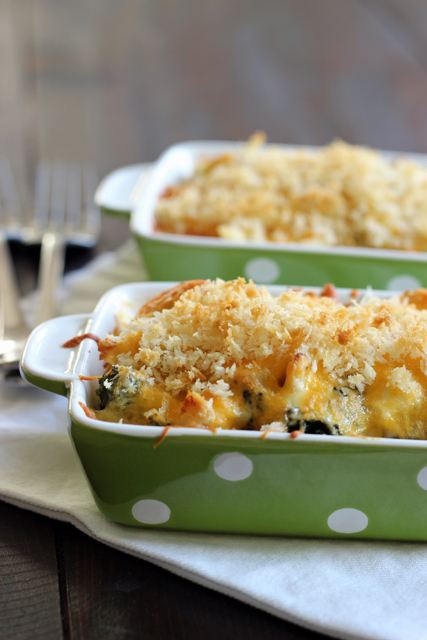 This is a great make-ahead dish to simplify your nights. 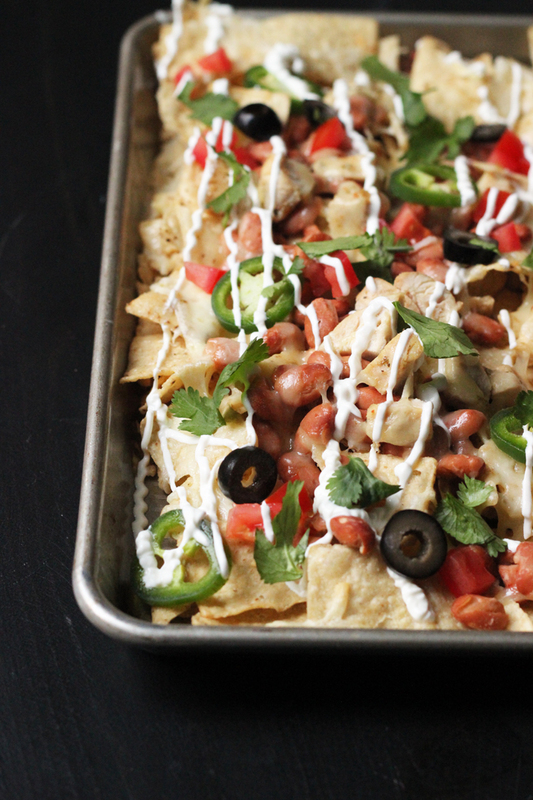 Make nachos extra special and quick and easy too. Build a pan full of cheesy chips and top them with cooked chicken and an array of tasty toppings. Enjoy a perfect pizza night with this pesto-doused, chicken laden pie. Fresh avocado added at the end adds a super special touch. Soup is good food! 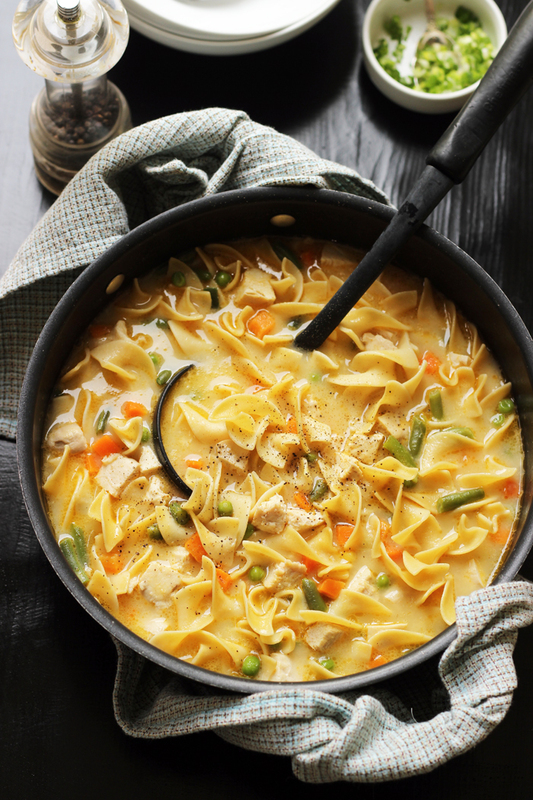 Especially when it's a bowl chock full of chicken, noodles, and veggies in a creamy broth. Make double because you're gonna want it! 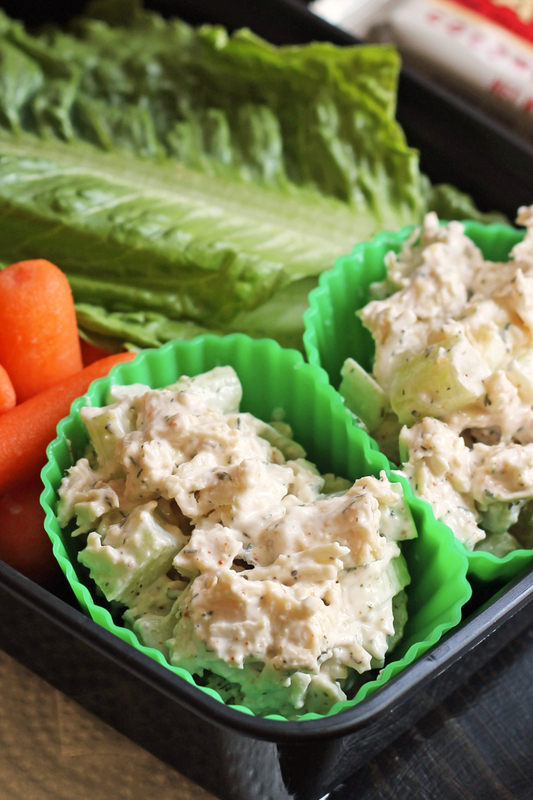 Chicken Salad gets a little kick with a homemade cajun seasoning. 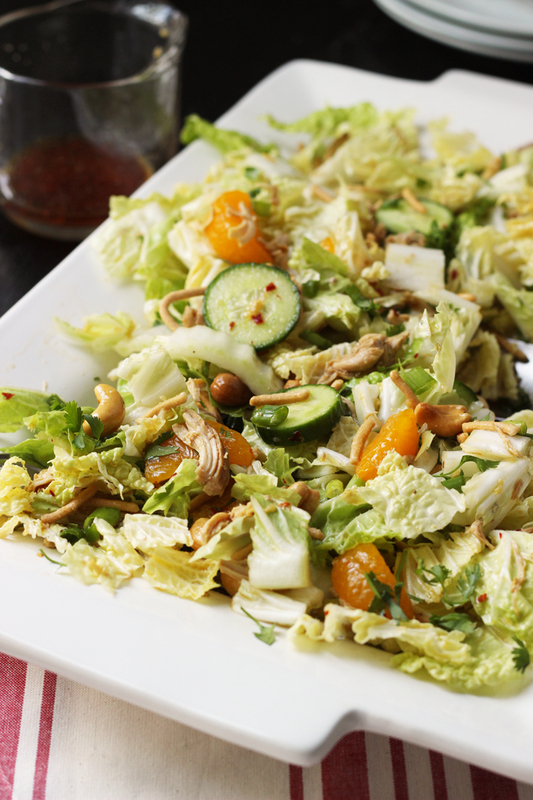 This protein-rich salad comes together in minutes. Flautas are similar to taquitos. 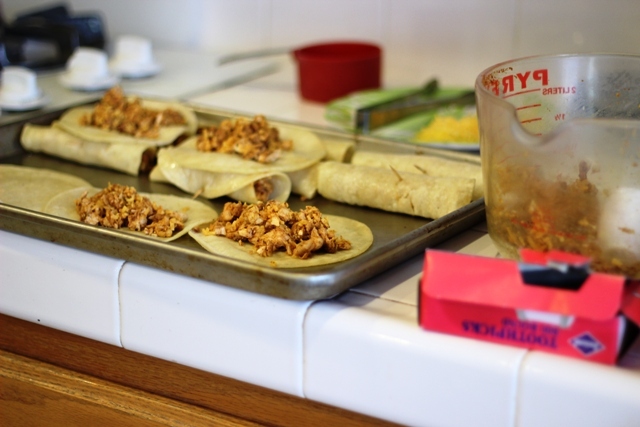 There's debate about the name, but there's no question that these easy chicken and cheese "tube tacos" taste amazing! 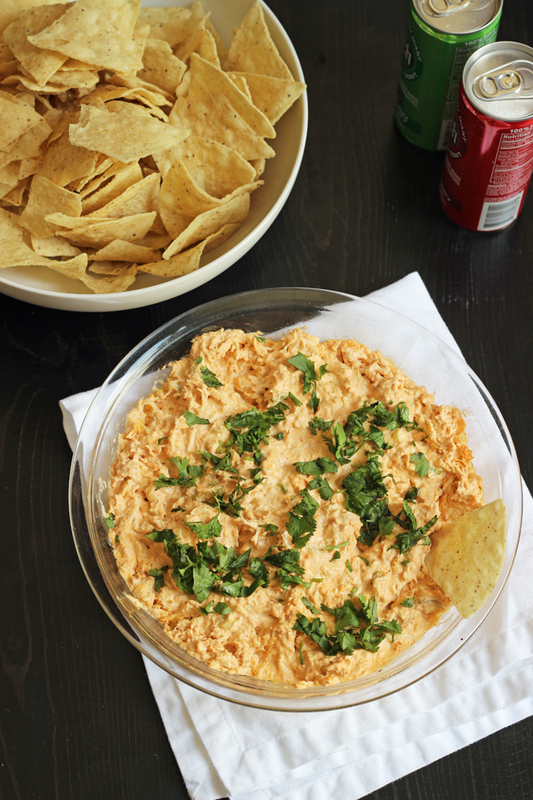 This spicy chicken dip is pretty addicting. It's delicious on chips, but equally good on sandwiches or in wraps. Can't decide between a salad or sandwich? No problem. Have both! 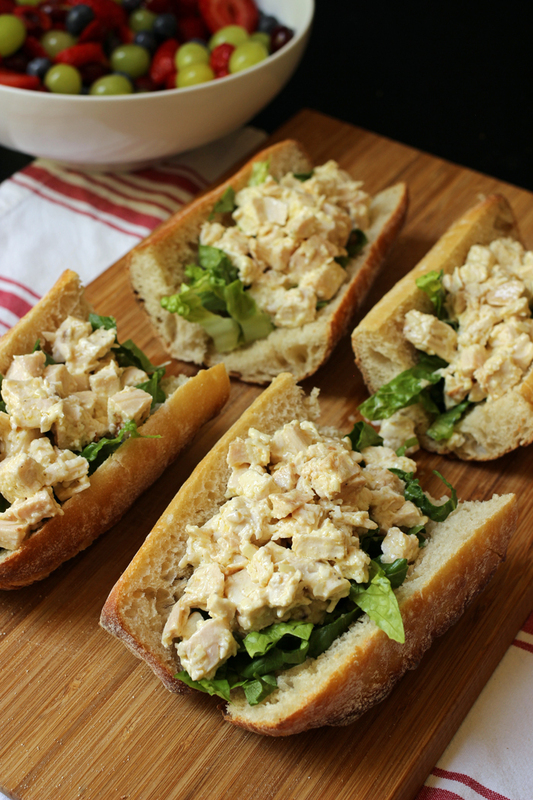 Pile chicken coated in creamy caesar dressing into split baguette for a simple dinner or lunch that's out of this world. Looking for something new and different in the chicken salad arena. Go curry! 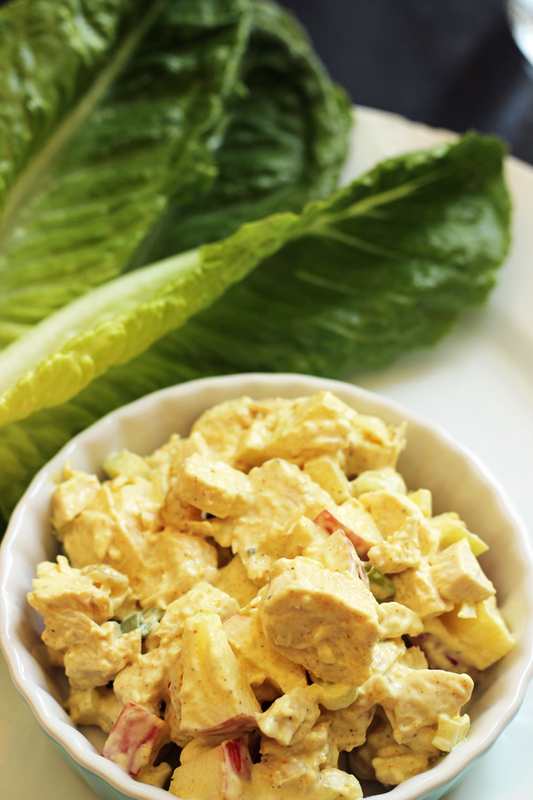 Studded with apples and the flavors of India, this chicken salad does it up right. 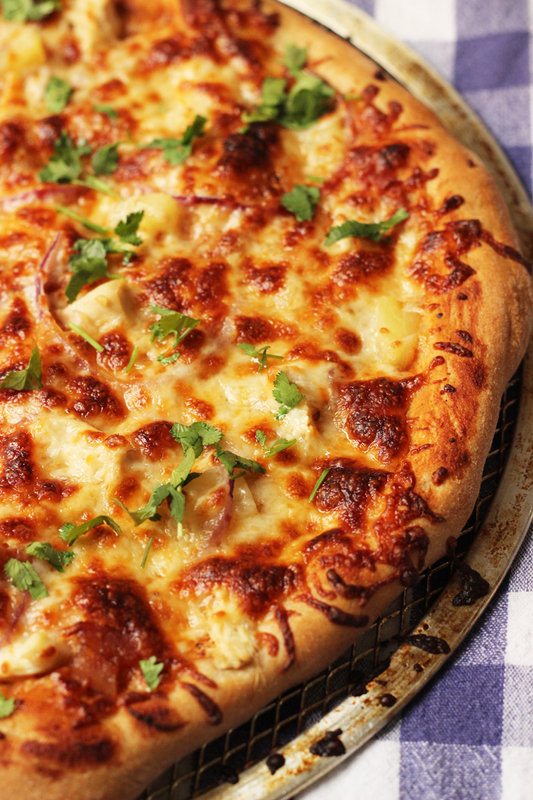 Switch up your pizza night by swapping out the tomato sauce for your favorite BBQ sauce. 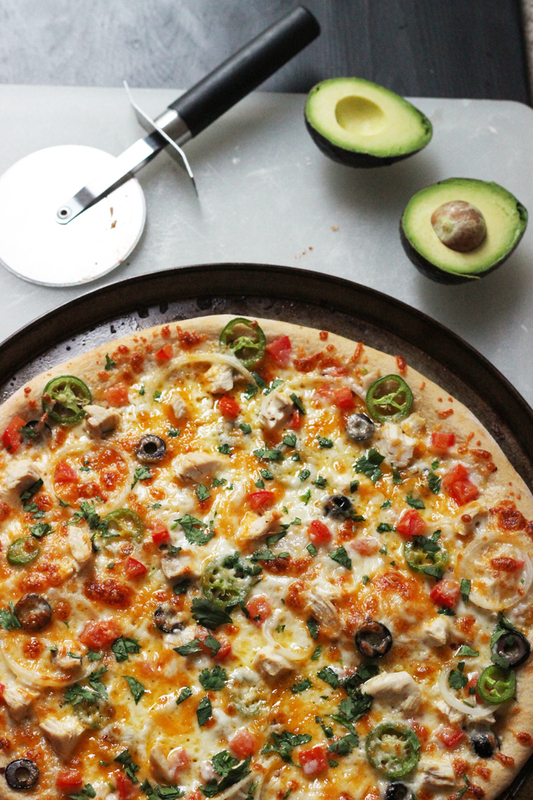 Top it with chicken, red onion, cheese, and cilantro for an 80s classic that rocks. Stir up a pan of enchiladas in minutes! Stir? Yes, when you make an enchilada casserole instead of rolled enchiladas, you get all the flavor in a lot less time. 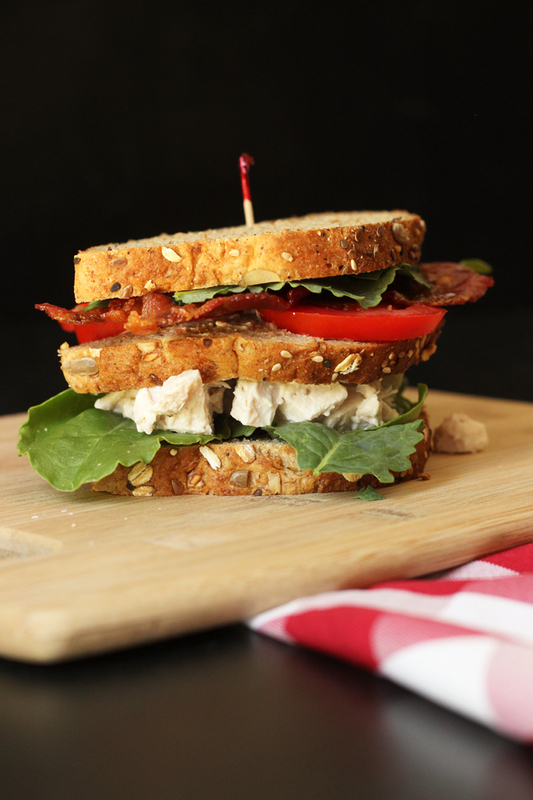 Smoky bacon and tomato pair well with the chicken salad in this stacked, Dagwood-like sandwich. You won't want to share! Ya gotta eat! 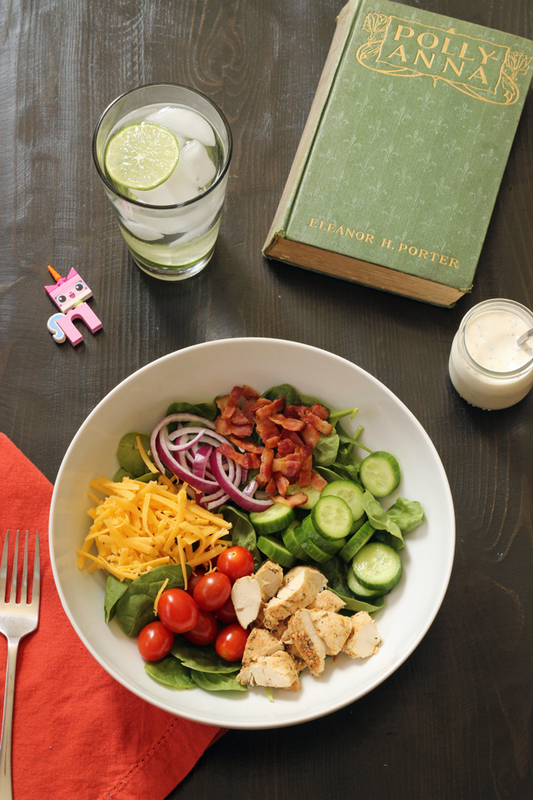 So why not make it an amazing salad day with chicken, bacon, veggies, and a generous dousing of ranch dressing. 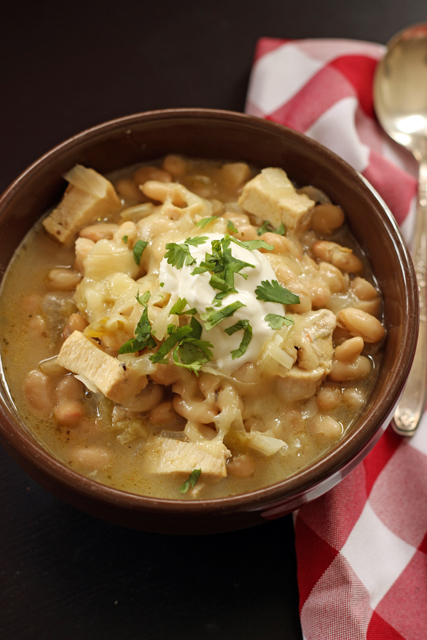 White beans, white meat chicken, and a cheesy sauce may not be what you expected when you heard the word, chili. But, you'll be glad you met this amazing flavor combination. 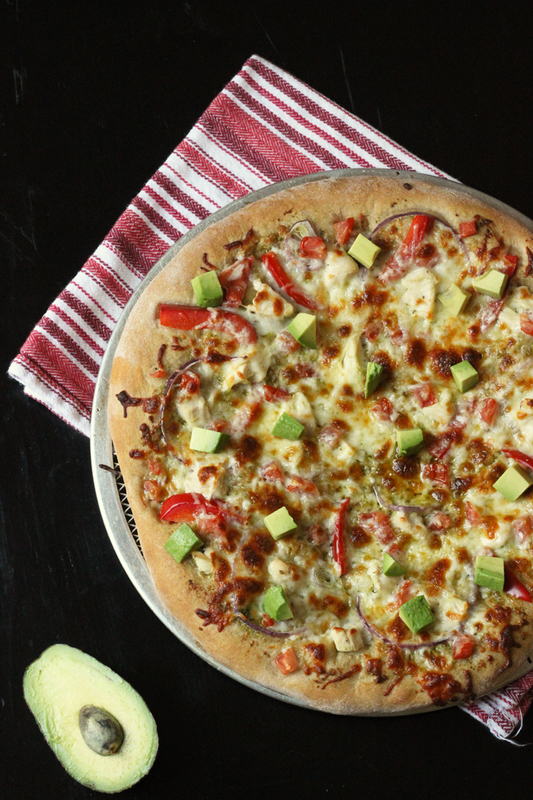 Layer flavor on your pizza this week with chicken, tomatoes, onions, sliced jalapeños, and cheese. 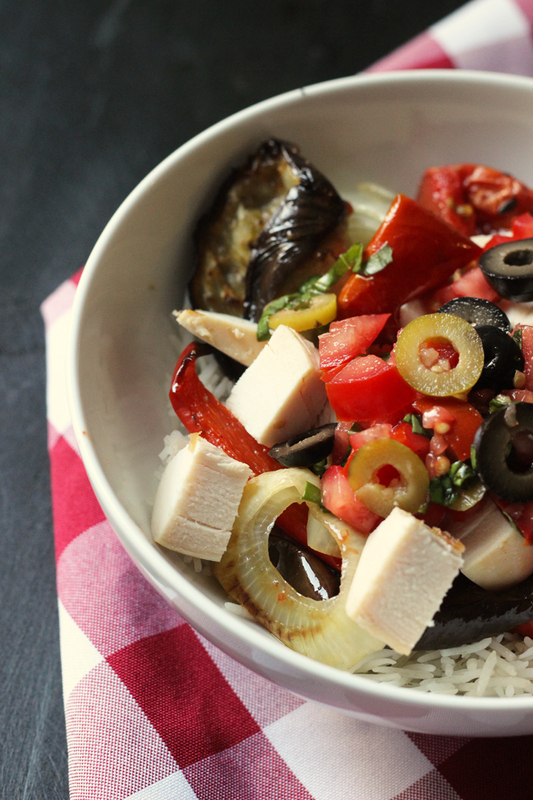 Super yum and super easy! 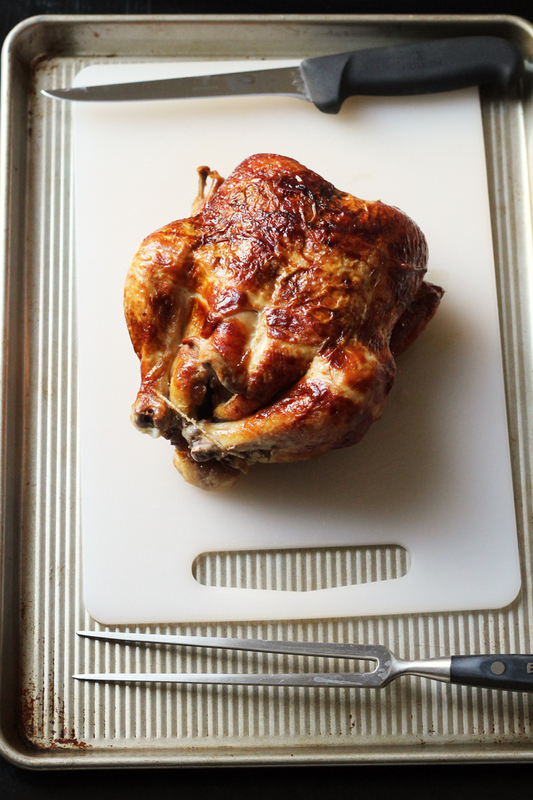 What’s YOUR favorite recipe to make with a rotisserie chicken? My most frequent is chicken and pasta, frequently spaghetti, but sometimes noodles or rotini or what is at hand. I do a creamy sauce with broth and milk instead of canned soup. Usually with onion and carrot added, occasionally broccoli or spinach or kale. I also frequently add it to rice and chopped broccoli with a creamy homemade cheese sauce and usually mushrooms. Fried rice would also be a good choice or any recipe that calls for chopped chicken or turkey. I love to buy them too mostly to use as a short cut for chicken and veggie stir fry. My store sells rotissieri chicken breasts and I’ve switched to those because for a couple of dollars more ($10.00 total), I get a very large tasty breast that I use as sandwich meat. For $10.00 I can buy 1 lb. of deli style roast chicken or for that same amount I can buy a rotisseri chicken breast and have delicious sandwiches for several days and the meat isn’t processed. 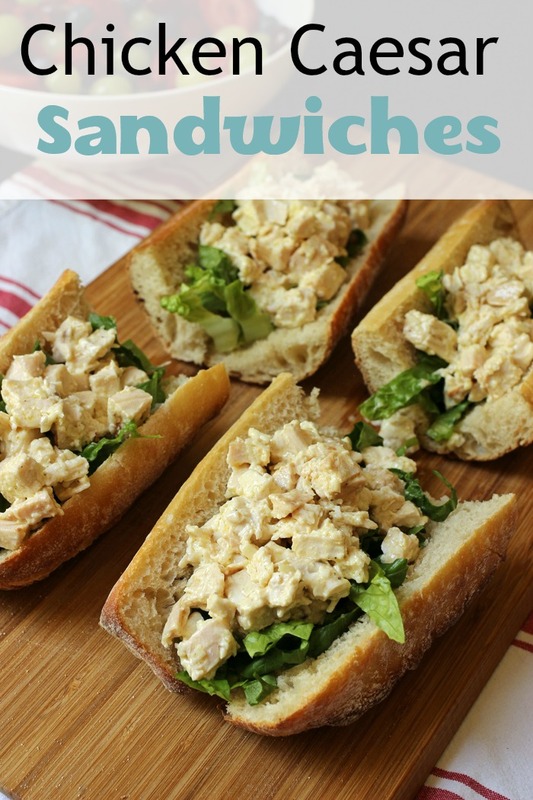 We eat it sliced on bread for a few days and after that I usually make chicken salad. I swear by these and buy them on a regular basis.